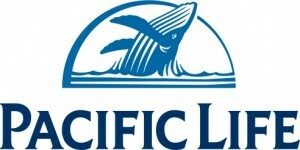 Pacific Life offers their PRIME Term Life Insurance at very competitive rates. Affordable Coverage from a premier carrier Pacific PRIME Term life insurance was developed for a new generation of clients who want a faster, easier way to protect their families and businesses. Simpler in design and competitively priced, Pacific PRIME Term offers a streamlined application and underwriting process for faster turnaround times. Welcome to a new generation of term insurance from Pacific Life – PRIME Term Life Insurance. Choice of 10 year level term life, 15 year level term life, 20 year level term life, or 30-year level term life premium periods. Annually renewable coverage up to age 95. Streamlined application and underwriting process. Conversion provision with a credit of up to one year of annualized term insurance premiums applied to cash value life insurance policy. Riders for disability and terminal illness. Applying for Pacific Life PRIME Term Life Insurance is remarkably simple. Click the button at the bottom of this page to run instant life insurance quotes. Enter your date of birth, state of residence, health rating (even use our Health Analyzer), click “Submit”. From there, click “Send me an Application” and we can get the process started today. 1 Pacific PRIME is a registered mark of Pacific Life, all rights reserved. 2 Riders will likely incur additional charges and are subject to availability, restrictions, and limitations.